Hark! The herald angels sing and they’re telling you to put down that donut. As we approach the holiday season, it has become all the more tempting to indulge in snacks. After all, nutritionists say that snacking is good – healthy, even. There is a difference, however, between mindless snacking and helping your body maintain its energy levels. Registered nutritionist Colleen Webb and registered dietitian Gabbi Berkow warn that snacks should combine the right amount of protein, healthy fat, and fiber to give the body the nutrition it needs. They recommend a snack that has around 20 grams of protein, is less than 200 calories, and contains less than six grams of added sugar per serving. Ideally, people should have a mid-afternoon snack around 3 p.m. because that is when most people experience an energy slump. Think of this as a game; it’s just more fun that way. Now that you know what makes a great snack (a combination of protein, healthy fat, and fiber; less than 200 calories; and has less than six grams of added sugar), you can mix and match to your heart’s desire. We’ve broken down what you would need. Protein – You need this to preserve muscle and keep your metabolic rate up. These also make you feel fuller longer, so you don’t overeat at your next meal. 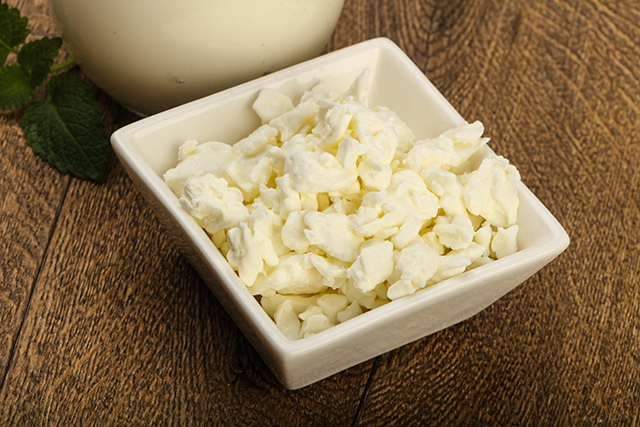 Healthy food that contains 20 grams of protein include a cup of cottage cheese, three hard-boiled eggs, and eight oz of plain Greek yogurt. In a rush? Munch of edamame. These can easily be bought in your local grocery store and contain high amounts of protein and fiber. Healthy fat – Anything that you add to this snack combination should be unsaturated or plant-based. Try going for olive oil, chia seeds, avocados, or nuts. Healthy fats slow down digestion and make you feel satiated faster. Fiber – These help your digestion. Good sources of this include fruits, grains, and beans. You’re only really limited by your imagination. To help you get started, try some of these snacks. All of these contain less than 200 calories. A slice of turkey and a slice of low-fat cheese like Swiss. Snacks should be spaced evenly throughout the day as well. Berkow suggests her clients eat every three to five hours to prevent blood sugar levels from dropping too low, too fast. Done correctly, snacking can prevent over-indulging and keep you feeling healthy and energized the entire day. Is snacking before bed bad? Inevitably, you will ask whether snacking before bedtime is bad. Studies on the topic are conflicting. However, most nutritionists agree that while eating before bed is not necessarily bad, it does pave the way to unhealthy habits, such as not sleeping on time, drinking, smoking, and leading a sedentary lifestyle. The problem is not that you eat at midnight but that this behavior lends itself to being a couch potato. People who suffer from gastroesophageal reflux disease (GERD) are also discouraged from eating before bed. When you have a full stomach and lie down, the food has an easier time going back to your throat. Eat right with the help of the diet-related articles found at Slender.news.